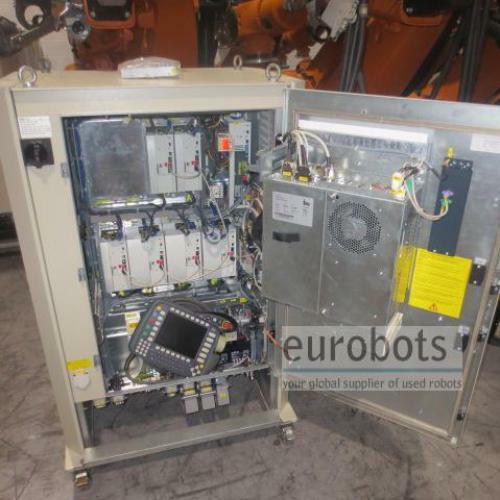 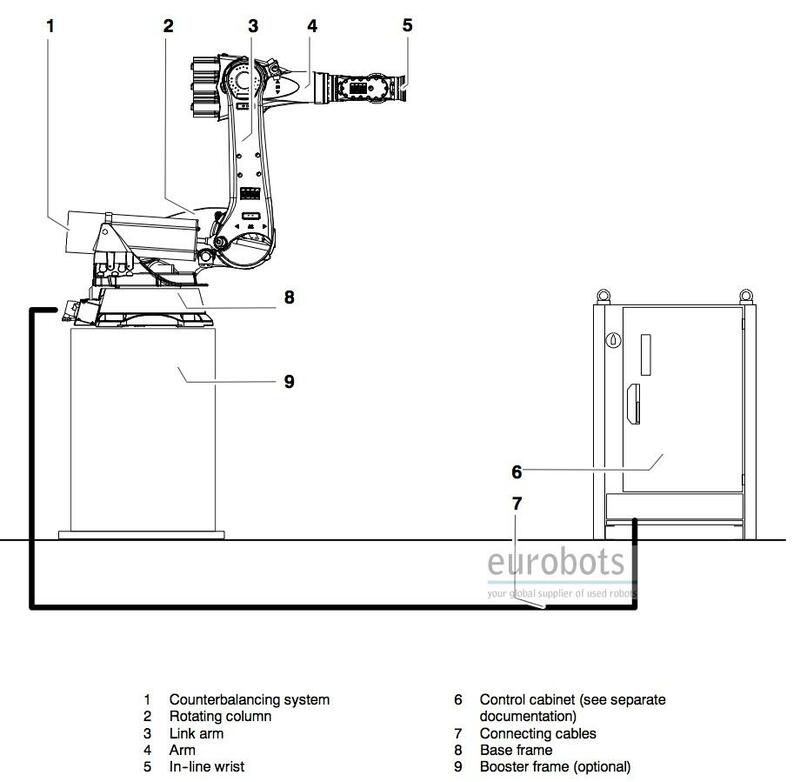 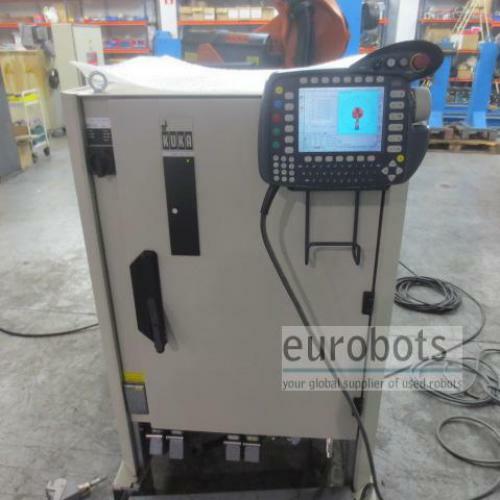 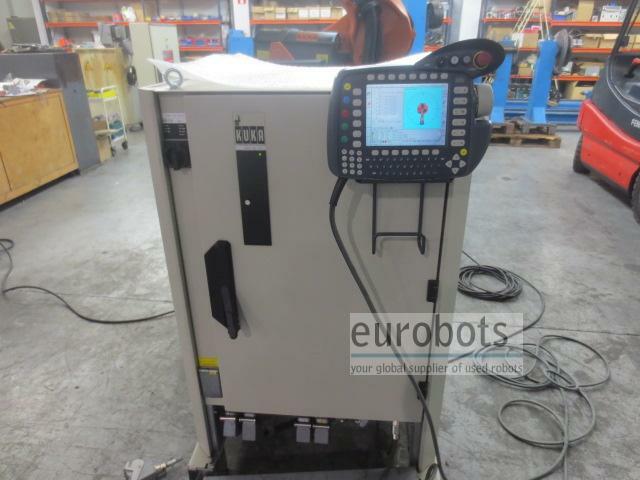 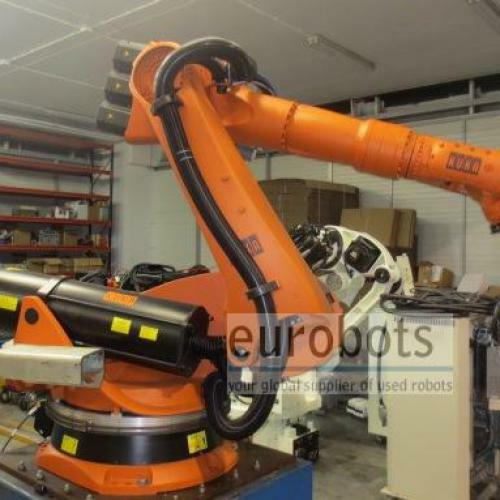 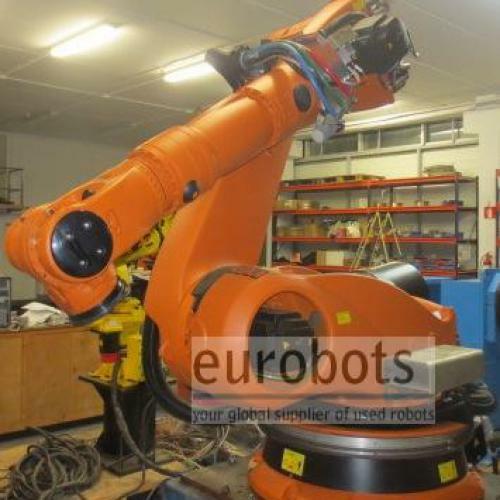 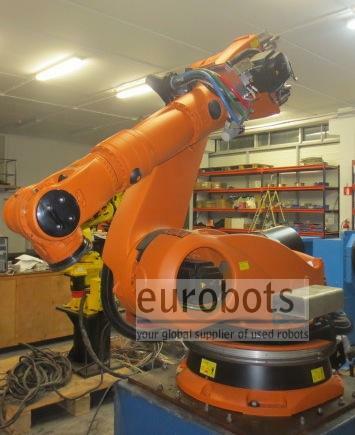 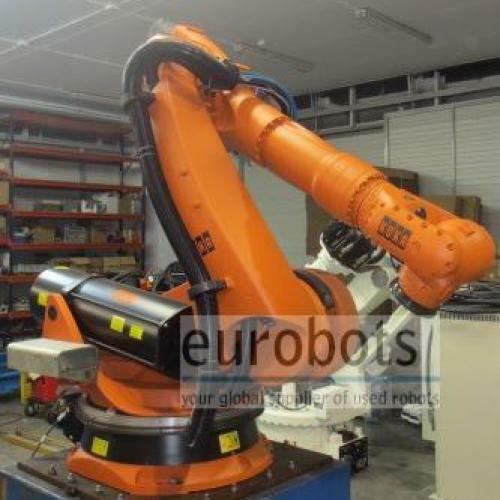 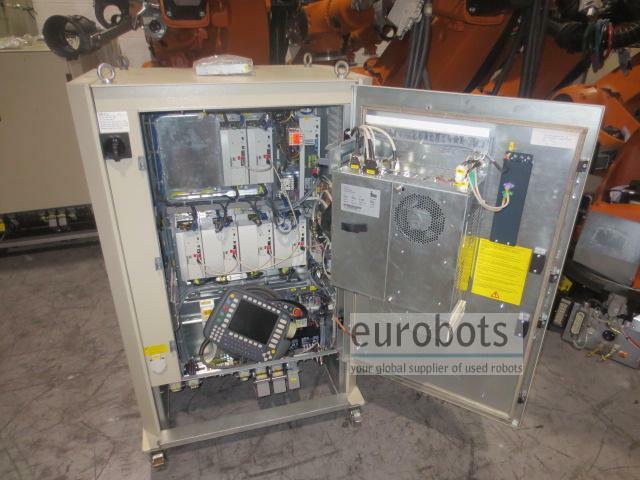 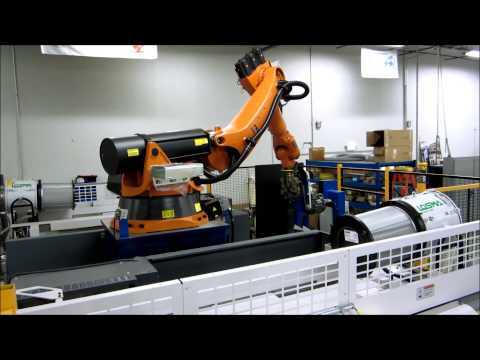 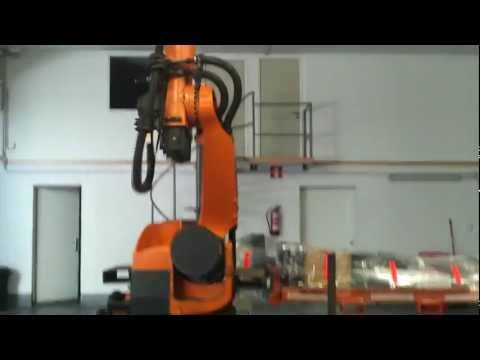 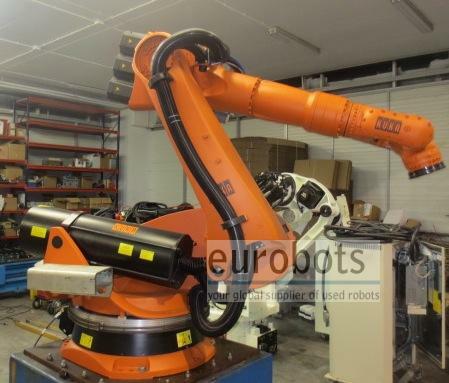 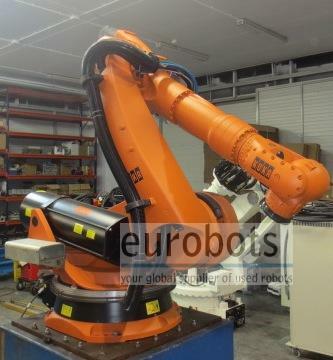 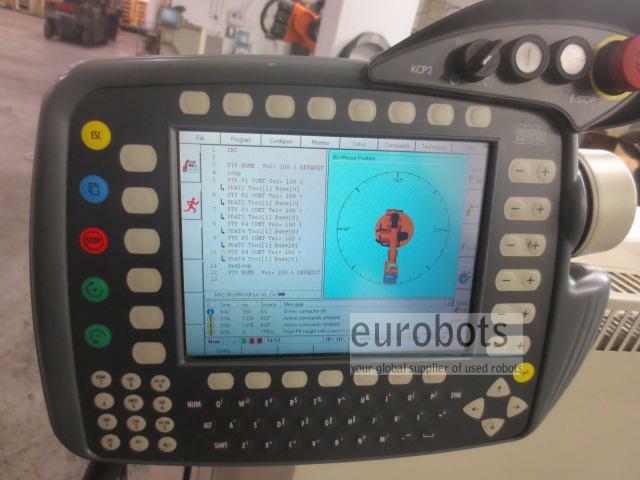 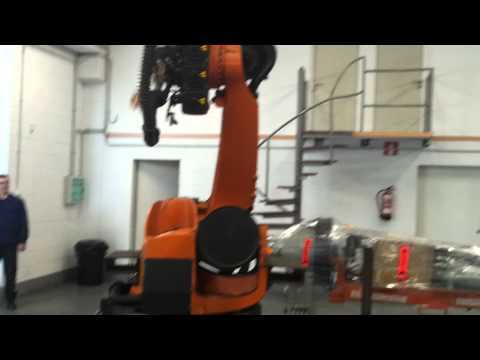 Six axis industrial robot, shelf version of the KR210 series 2000. 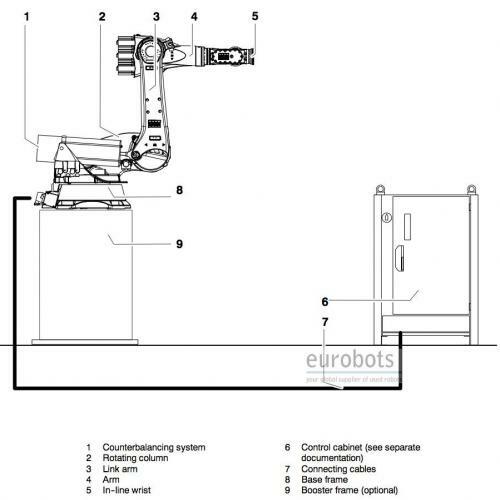 This shelf-mounted robot can be integrated into a machine with the role of a "top loader" and can thus carry out loading and unloading as well as complex finishing of the parts produced in the machine – all in a single operation. 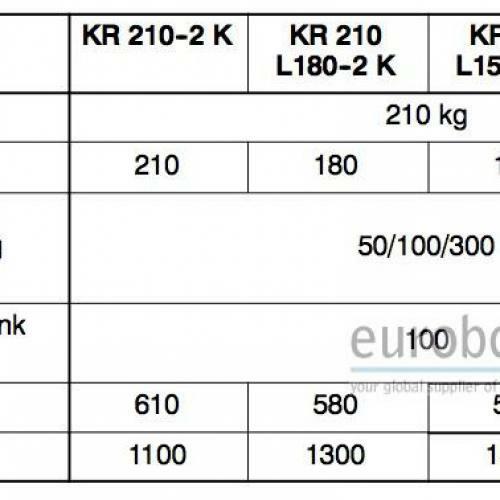 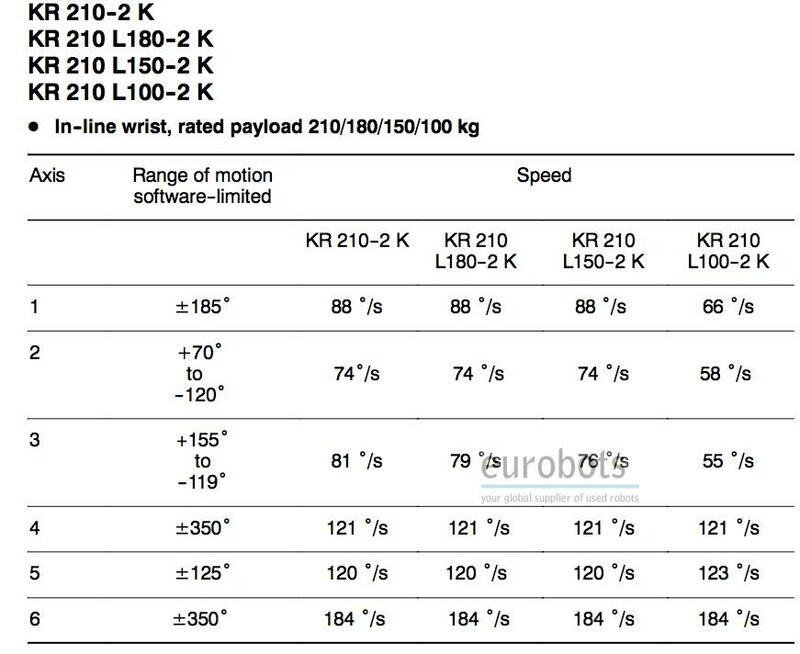 Available in three versions attending to the arm reach / payload: KR 210-2K (3100 mm / 210 kg) , KR 210L180-2K (3300 mmm 180 kg) , KR 210L150-2K (3500 mm / 150 kg). 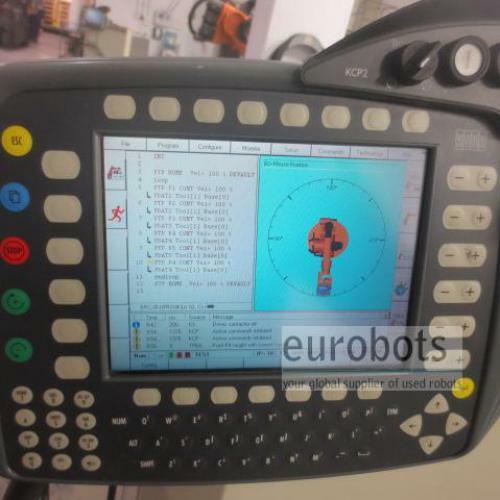 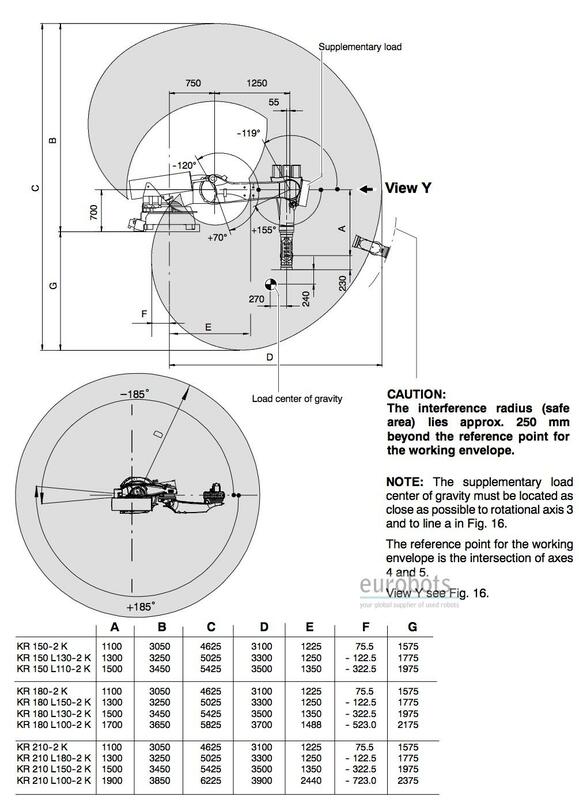 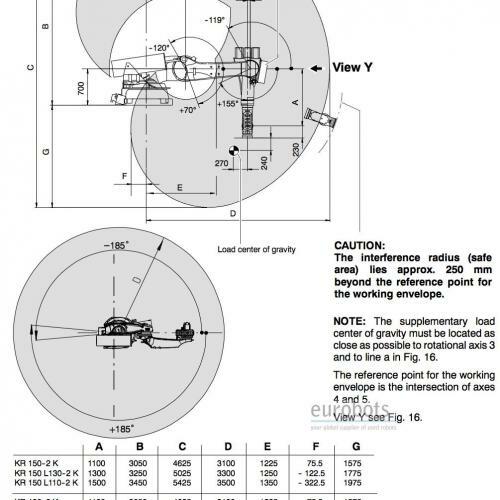 Suitable for machining, spotwelding, handling and palletizing applications. 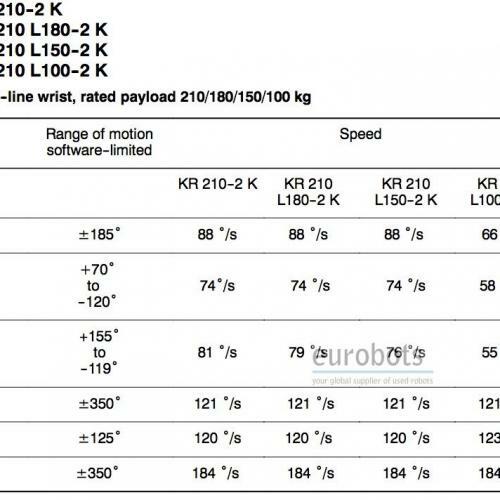 Equipped with the powerful KRC2 ed05 controller.